Display-Max | The Mega Advertising-Display Shop! 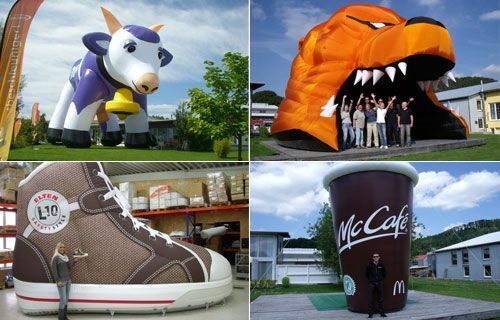 Inflatable advertising mediums, product replicas or mascots are characterised by their huge advertising effectiveness, the quick and easy handling and the many fields of application. We turn your vision into reality. 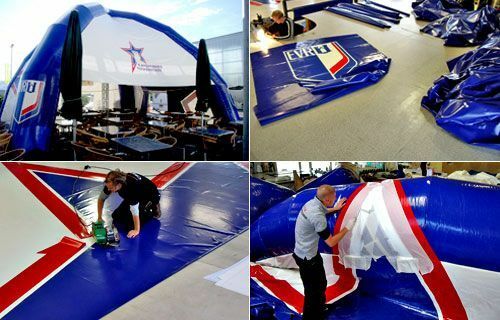 Our experienced team will manufacture your new inflatable in custom shapes, sizes and colours. Our own production and logistic centre is located in Stockach on lake of constance. Since 1998 we manufacture mobile advertising displays of all kinds. We offer a vast product range of high-grade and innovative presentation systems and deliver to end customers, agencies, printers&apos; shop, advertising display distributors all over europe. The sky is the limit with our balloons! 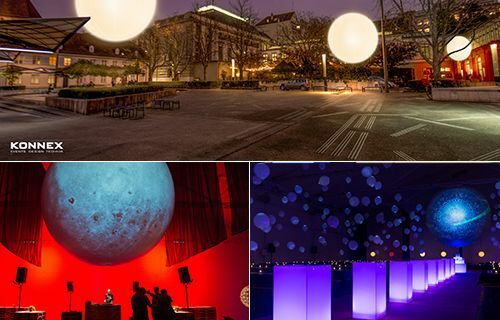 Illuminated and advertising balloons of Display-Max are perfectly suitable for multiple applications. 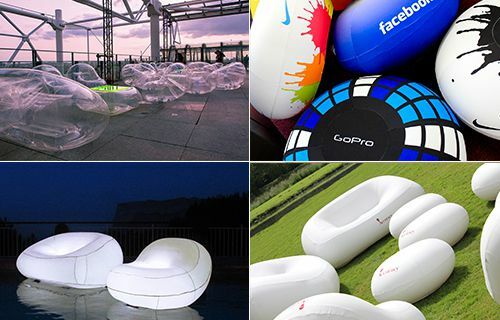 Whether floating in the air, set up on any surface or turned into amazing objects through light effects – these balloons will raise all the attention. For "Konnex", Display-Max was producing 5-meter-balloons which were staged in a spectacular way. Operation under the toughest conditions! Our inflatable event tents are the perfect advertising medium for all roadshows and sport events. 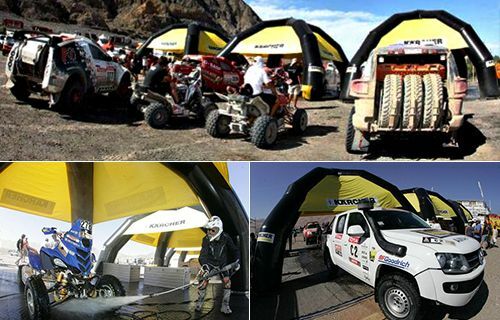 "Kärcher" used these tents during The Dakar Rally and this proofed that they can withstand even the toughest conditions. No event without the right equipment! The right equipment can&apos;t be missed for a professional event. The new bubble furnitures of Display-Max are available in transparent as well as unicoloured with branding or fully printed. These modern trendsetters with integrated LED-lights will set your event in a fascinating light. Whether used on ski fields, the beach or in the city, our products have proven themselves a thousand times. Our team places great importance on quality and handling so you and your clients can enjoy the products to the fullest. Display-Max is an active, europe wide distributor of high-quality advertising displays and exhibition systems. Folding displays, folding tents, exhibition displays, advertising displays, inflatable tents, rollup displays, beachflags and inflatable advertising elements are only a part of our vast spectrum of mobile presentation systems for the swiss market. Get inspired by our vast product variety!